Be among the elite who have previously enjoyed the style and flair of our Ambassador Suites. 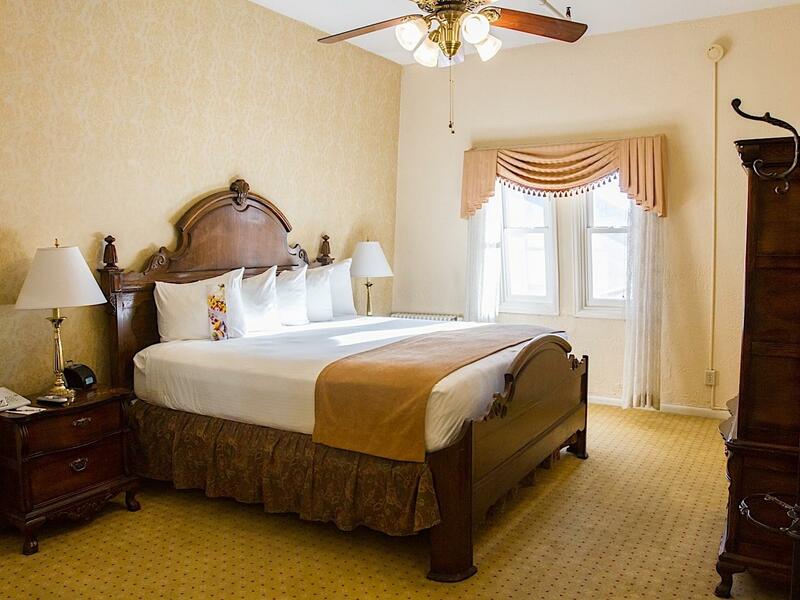 Located on the Penthouse level, these suites will provide you additional space with a large living room, private bathroom and a king guestroom. Suite includes kitchenette with wet bar, mini-fridge, microwave and coffee maker. With breath-taking mountain views and historic charm your stay in our Ambassador suite will be reminiscent of days gone by.